Burger King is promoting the relaunch of its app by trolling its biggest rival. Burger King are sending Whopper fans to McDonald’s 14,000 restaurants in order to unlock a promotion for a 1 cent Whopper. 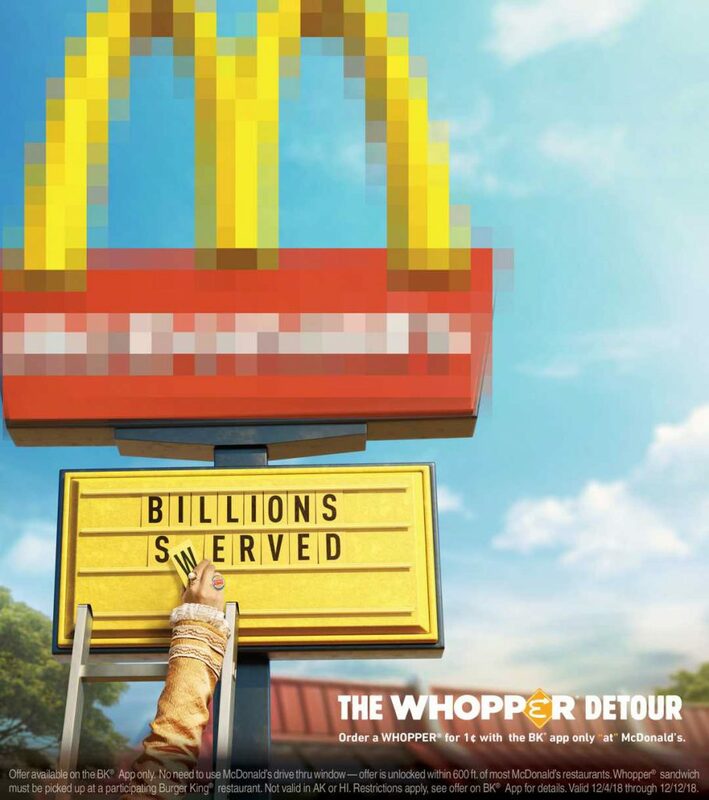 The ‘Whopper Detour’ is activated via an app that allows people to order a 1 cent Whopper if they are at a McDonald’s (or within 200 metres of one). The app uses geolocation technology to “unlock” the deal. Then Customers do have to go to a Burger King to pick it up. USA Today reports that after the order is placed, the user will be “detoured” away from McDonald’s and the app will navigate them to the nearest Burger King to pick up the burger.